Home > Discontinued > You Light My Fire! 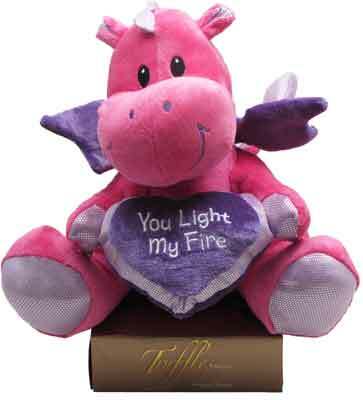 You Light My Fire! 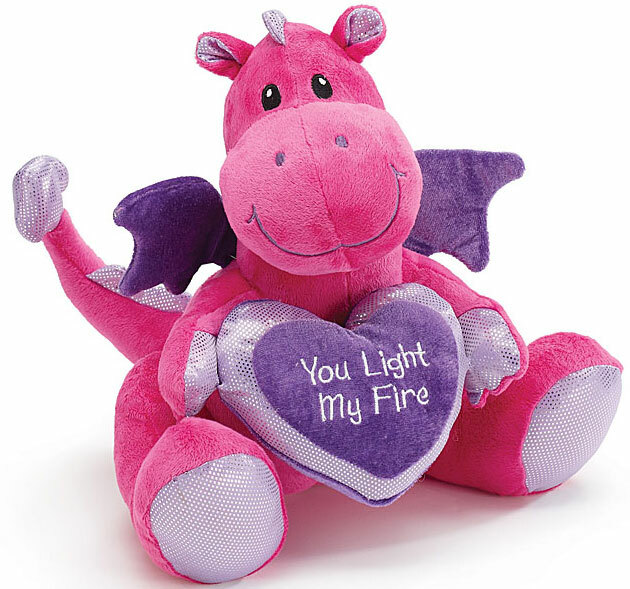 This adorable pink plush dragon named "Eli" with purple wings sits on top of a 7 oz. box of Belgian Chocolate Truffles! There is shimmered fabric on the hands, feet, heart, and inside the ears and the spikes down its back. The dragon is 11" sitting. We use a sheer ribbon for the bow. Includes a Handwritten Greeting Card.